BACK ON MARKET!!! Buyer contingency fell through. 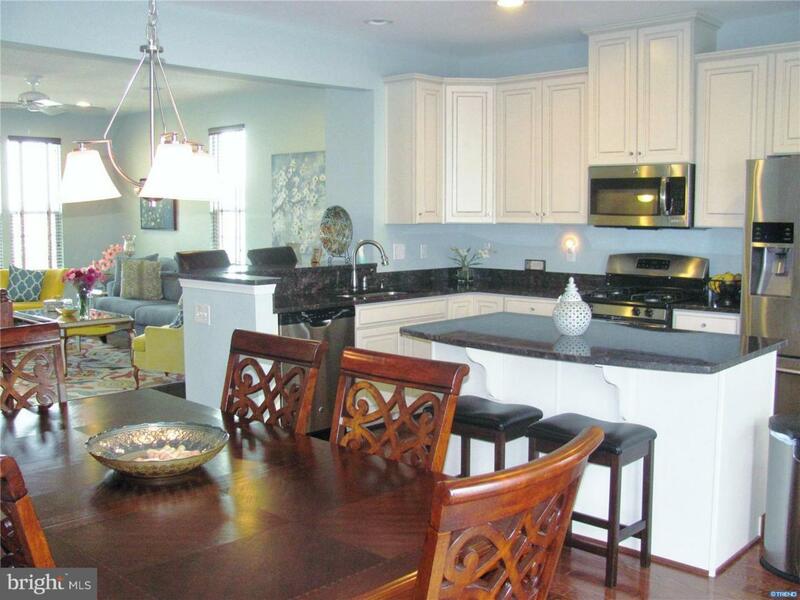 Immediate occupancy available on this great town home loaded with extras. SHOW AND SELL!! 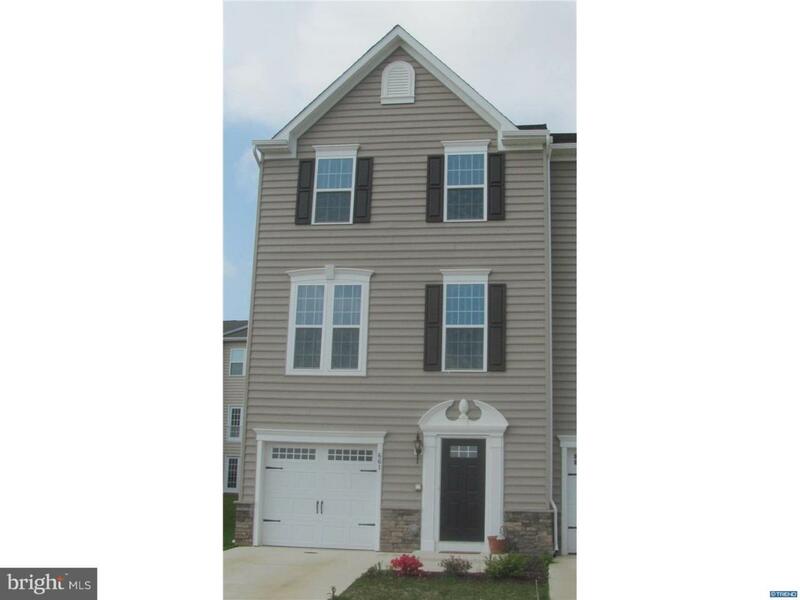 !Why wait for new construction when you can quickly move into this gorgeous three-story, end-unit townhome loaded with high quality upgrades and lots of natural light!!! Elegance and functionality are fused in the open floor plan that features two beautiful hardwood staircases, custom paint, custom blinds and window treatments, whole house surround and intercom, upgraded carpet/padding/ hardwood floors/tile and lots of recessed lighting. The main level offers wide plank hardwood flooring and 9~ceilings. The kitchen is unbelievably gorgeous and features upgraded 42" glazed cabinets with crystal pulls, granite countertops, upgraded GE stainless steel appliances, gas cooking, a large island with a breakfast bar that opens to a bright dining area and access to the lovely Trex deck with vinyl railing. So much to enjoy! Surprise, there~s another breakfast bar area in between the kitchen and the living room area - so much space for entertaining! The kitchen opens to the large living room with an abundance of windows. There~s also a pretty powder room on the main level. 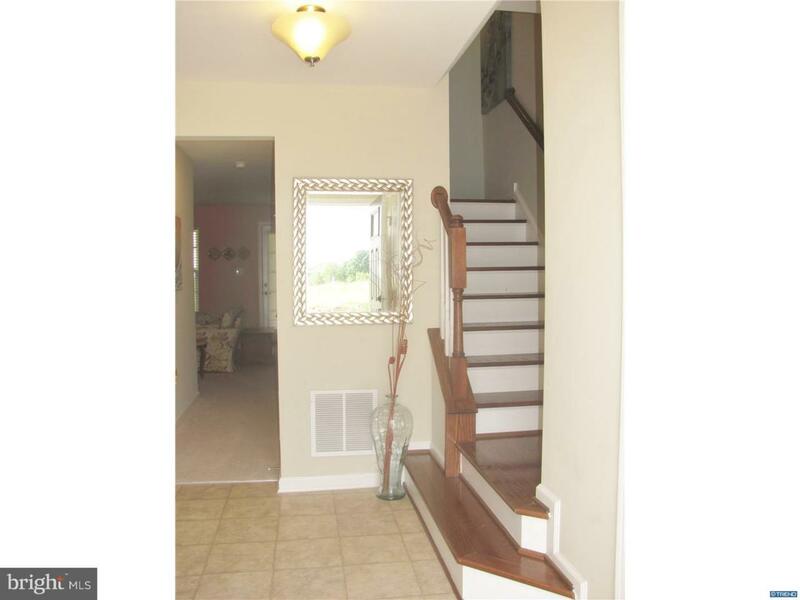 Meandering up the beautiful hardwood staircase you will find a generously sized master bedroom featuring a stunning tray ceiling with custom lighting, a ceiling fan and a huge walk-in closet with organizers. The master bath has been beautifully upgraded and offers dual vanities and a 5~ shower (WOW), with upgraded tile surround and upgraded tile floors. 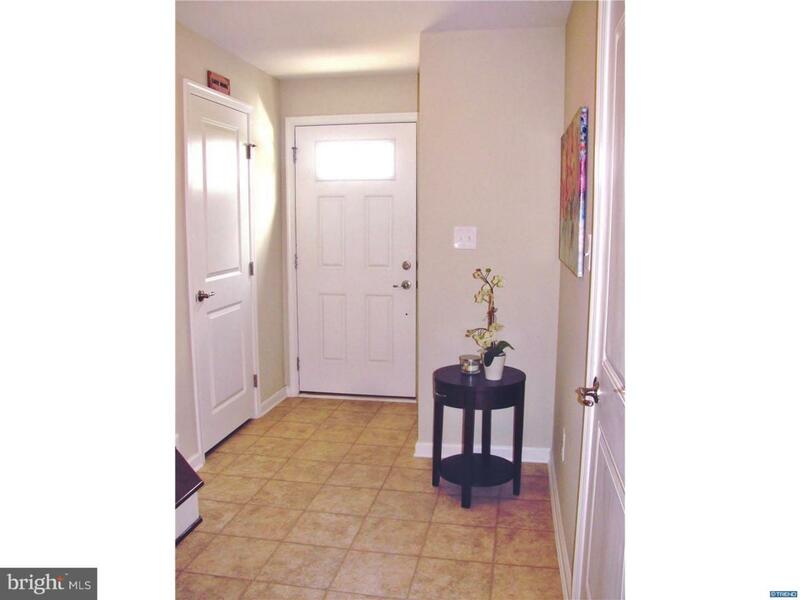 The other two bedrooms share a hall bath and feature large windows and double closets. The walk-out lower level includes a large family room with closet space. It has a door to the exterior and could be used as a bedroom, in-law suite, etc- the possibilities are endless! The lower level also includes the foyer and garage. This home is energy efficient and move-in ready! Hurry before it~s gone!!! Exclusions Please See Agent And Buyer Brochures For A Complete List. Inclusions Please See Agent And Buyer Brochures For A Complete List.